Somehow I haven’t heard this passage combined in quite this way before. I had not made a connection between God hiding things from the wise and intelligent and Jesus appealing to the weary to come to Him for rest. This passage comes in the context of Jesus’ rejection in the towns of Chorazin, Bethsaida, and Capernaum. He has just told these towns that what happened to Sodom is better than what will happen to them. Presumably, he was heckled by some “wise” and arrogant people in those towns from whom God had hidden His true wisdom. I wonder if Jesus would have similar things to say today about all the Christians who are ruthless in their pursuit of knowing exactly everything there is to know about Him, who want to figure out exactly what the gospel is (in ten words or less) and all the arguments they can make to shoot down all the counterfeit gospels that are out there (because there can only be one gospel and I’m the one who has to know it). In 1 Corinthians 8:1, Paul says, “Knowledge puffs up, while love builds up.” There is an unhealthy idolatry of knowledge in evangelical Christian culture. It’s one thing to delight in learning about God; it’s another thing to want to own all of the knowledge you possibly can about God. I’ve been reading a book about power by Andy Crouch called Playing God. He says that the healthy kind of power is the creativity and culture-making which emulates God’s nature as a creator. Unhealthy power is not interested in creativity; it simply wants control. The delight of learning is about participating in God’s song. Pursuing the hegemony of knowledge is about wanting to be God. It’s a completely different posture for learning when you come to Jesus in search of rest because you are weary and carrying a heavy burden. It’s like the speaker of Psalm 42 who is desperate to find the living God whose face is salvation because His presence is shalom. To learn for the purpose of learning how to rest more deeply in Jesus is the journey of discipleship. It is not a glamorous kind of knowledge, but one gained by putting a yoke around one’s neck and practicing the presence of God. The wise are those who rest in Jesus, regardless of how many Bible verses they have memorized, how many six-syllable words they know like soteriology, how many conferences they get invited to speak at. I imagine that many simple people, some of whom might not even know how to read, are wiser than I am in this wisdom that matters. How long will it take me to unlearn my need to build a Babel tower of Jesus-knowledge that’s taller than the one the fundamentalists are building? How long will it take me to learn that what I need is not a tower of knowledge but to be yoked to the One who can give me rest? This entry was posted in Daily Office, Devotions and tagged 1 Corinthians 8:1, God, Idolatry, Jesus, knowledge, Matthew 11, Rest, Weary, Wisdom, Yoke. Bookmark the permalink. Sadly while it does exist in spades in the evangelical Christian culture. I kind of get the impression that this is just kind of how we operate as Americans at the very least, and maybe even the western world, but I’d be more reluctant to include everyone. I mean it seems that the general tactic for victory is to look like to know more than the person you disagree with and as much as possible call that person/group you disagree with names that show how foolish, simple, and wrong they are. You see it in politics, you see it with those who critique the evangelical culture, in how we should parent our kids, and the list could go on and on. I get it, we want to be right, but this world is big. I don’t see how people try to claim to know everything. I believe that God is bigger still and I really don’t get how people claim to know Him inside and out. Maybe that’s just me though. It is pretty universal to want to be right. Ever wonder why God lets bad things happen? I believe it’s because when life’s going our way, being in relationship with Him can seem unnecessary. Yet when our plans go haywire, God’s still beside us, waiting for us to seek His help. The massive stroke I had when 33 helped me learn this lesson – the hard way. Being the stubborn woman I am, however, I did my best to resume my pre-stroke life, until depression got the best of me. Sometimes (always) the greatest gift God gives us is to take us down a peg. (Think Peter, Paul, Thomas, anyone who mattered.) When you are handed a demotion, an insult, a rejection of any sort, immediately thank the Father for reminding you of what matters; who loves you. 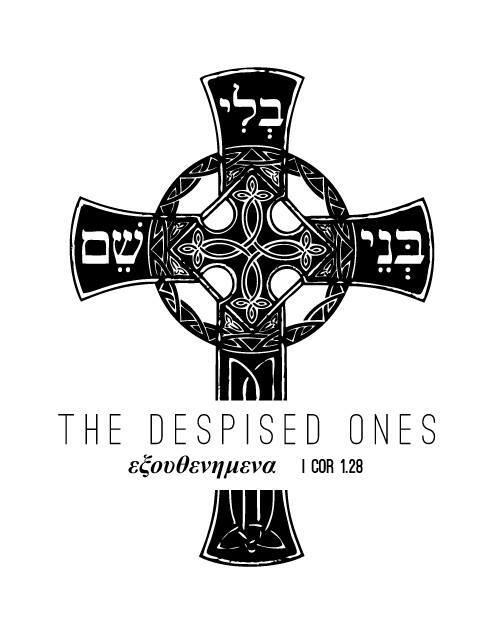 We know our beloved one is the Despised One, don’t we? Thank God for allowing us to be a lesser version; despised, too. Doesn’t that tell us that the more despised we are by authorities (people with power), the closer we might be to following our beloved one? Beloved children have no fear. They know there is more than enough love for all. That is why we yearn to be the Children of God. It is to remind ourselves that we need nothing else but God’s love. In His love we need no pedestals. A truly beloved person is above that. The less we claim, the more we are. Is it true that Francis of Assisi refused the pope’s offer to make Francis a priest, because it would elevate him? I just read the story of the recently deceased Mother Antonia, the twice-divorced to-the-manor-born Catholic woman who moved into a nasty Tijuana jail, where she found her calling and took on the face of Jesus. Hypocritical Catholic Beverly Hills double-divorcee? The opposite of church-lady shined the light in hell. Perhaps the closer we are to Christ, the less others will notice us (they notice Christ, instead of, and through us) and the less we need to be noticed. “Perhaps the closer we are to Christ, the less others will notice us (they notice Christ, instead of, and through us) and the less we need to be noticed.” Wow. That’s true and important for me to meditate on.